Bernice Meetoos will not be broken. A big, beautiful Cree woman with a dark secret in her past, Bernice ("Birdie") has left her home in northern Alberta to travel to Gibsons, B.C. She is on something of a vision quest, looking for family, for home, for understanding. She is also driven by the leftover teenaged desire to meet Pat Johns--Jesse from The Beachcombers--because he is, as she says, a working, healthy Indian man. Birdie heads for Molly's Reach to find answers, but they are not the ones she expected. With the arrival in Gibsons of her Auntie Val and her cousin Skinny Freda, Birdie begins to draw from her dreams the lessons she was never fully taught in life. 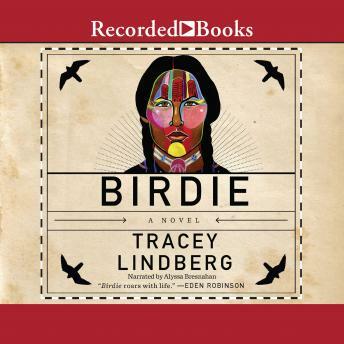 Informed by the lore and knowledge of Cree traditions, Birdie is a darkly comic and moving first novel about the universal experience of recovering from tragedy. At heart, it is the story of an extraordinary woman who travels to the deepest part of herself to find the strength to face the past and to build a new life.